The Canadian Pension Plan Investment Board, which was narrowly beaten in April in the race to buy the Blanchardstown Centre, is among parties circling the Liffey Valley Shopping Centre in west Dublin, according to sources. The centre, which was put up for sale in recent months with a €600m price target, has also attracted Germany’s largest public pension fund, Bayerische Versorgungskammer (BVK) in Munich, the sources said. The process is being kept tight, with four to five parties involved, with a view to selecting a preferred bidder for the property by the end of September and closing a deal as soon as possible thereafter. A consortium led by Hines, a US-based international commercial property firm, and HSBC Alternative Investments hired real-estate investment bank Eastdil Secured in recent months to sell the shopping centre. The two firms had paid about €250m in 2014 for a 73% stake in the mall, with total floor area of 46,500sq m (500,000sq ft), buying out UK insurance giant Aviva. A spokesman for the Canadian Pension Plan Investment Board declined to comment, as did a spokesmand for BVK while representatives for Hines and HSBC didn’t respond to requests for comment. The remaining 27% stake in the centre is owned by the Grosvenor Group, the UK property group operated mainly on behalf of the new Duke of Westminster, Hugh Grosvenor (25), who is set to inherit his father’s £9 billion (€10.5 billion) estate following the latter’s death earlier this month. Grosvenor Group, which has been involved the Liffey Valley Shopping Centre since it was developed and opened in 1998, also plans to exit its investment under the current process. Grosvenor’s core property portfolio comprised 300 acres of Mayfair and Belgravia in London. 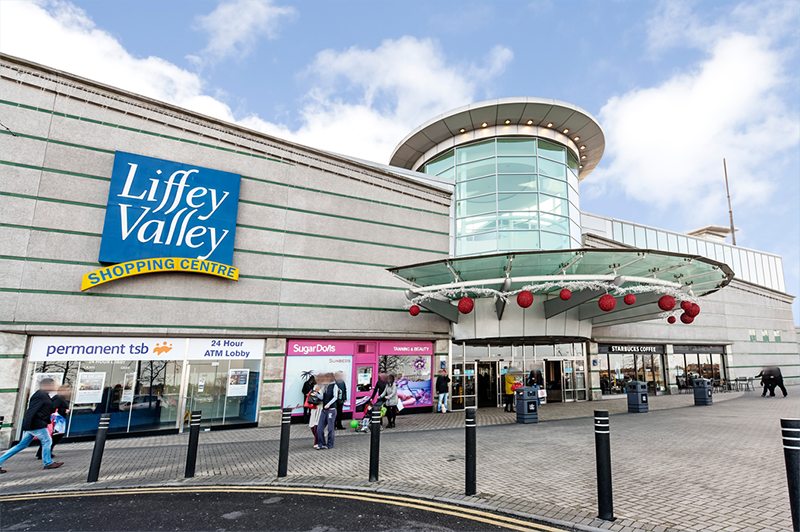 While there has been speculation in property circles that Hines plans to remain a minority investor in the Liffey Valley Shopping Centre in order to retain its position as the property’s asset manager, sources said that the Houston, Texas-based firm plans to exit its investment. However, it remains open to being retained as asset manager, should the new owner require one, they said. Separately, BVK hired Hines earlier this year to identify and buy European retail property on its behalf. Last week, South Dublin County Council planners granted planning permission for a 51,545sq m extension to the Liffey Valley centre, including a 2,500-seat Olympic-sized indoor ice arena, capable of hosting international skating, ice hockey matches and entertainment performances. Investor interest in Irish retail centres has surged in recent times as consumer demand recovers following the economic crisis. German insurer Allianz and UK property group Hammerson paid €1.85 billion last year to acquire loans associated with the Dundrum Town Centre and 50% stakes in the Ilac Centre in central Dublin and Pavilions Shopping Centre in Swords from the National Asset Management Agency. Last month, Hammerson and Allianz secured underlying ownership of the Dundrum centre and a neighbouring six-acre site earmarked for mixed-use development under a consensual deal with Chartered Land, the Joe O’Reilly-controlled company that developed the asset. The deal also allowed Hammerson to take ownership of the Ilac and Pavilions stakes. US investment group Blackstone closed a €950m deal in June to acquire the Blanchardtown Centre from Green Property. The Canadian Pension Investment Board and Chartered Land, backed by financing from Morgan Stanley, had also been in the mix for the 20 year-old centre. Data released by the Central Statistics Office on Monday show retail sales, excluding motor trades, increased by 2.7% by volume in the year to July. The Central Bank sees personal consumer spending rising by 4.5% this year, having returned to growth last year following the downturn.